Since the first time a graphic was hand-drawn onto a board, there has been a deep-rooted connection between skateboarding and art. The culture of skating is a very creative and visual one, with by-products such as board graphics, videos, stickers, magazines, and clothing. As more skater-artists emerge, skateboard magazines feature more artwork on their pages, and there is an increasing number of exhibitions focusing on skater-art. Each artist's work is highly individual and distinctive, and there is a huge variety in genre, style, method, medium, subject matter, inspiration, and influence. The work featured includes digital art, street art, fine art, paintings, drawings, doodles, illustration, and installation. 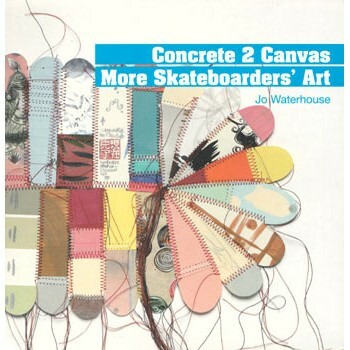 Bringing together the finest artwork produced by skateboarders around the world, this second volume of skater-art follows on the successful first book Concrete to Canvas. About 30 artists (Stephen Aston, East Eric, Mike Giant or Jeremy Fish). Color.